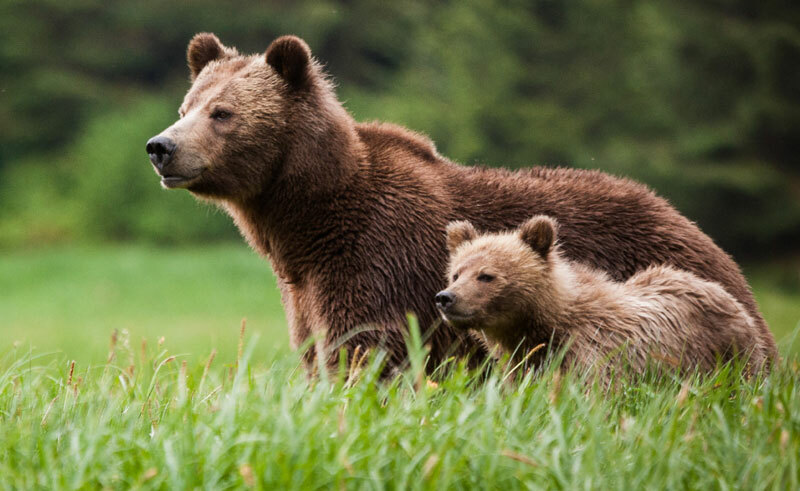 Enjoy some fabulous bear encounters on this wildlife break - the ideal addition to a tailor-made touring holiday. Knight Inlet is a spectacular fjord carved by glaciers in British Columbia's coastal mountains. 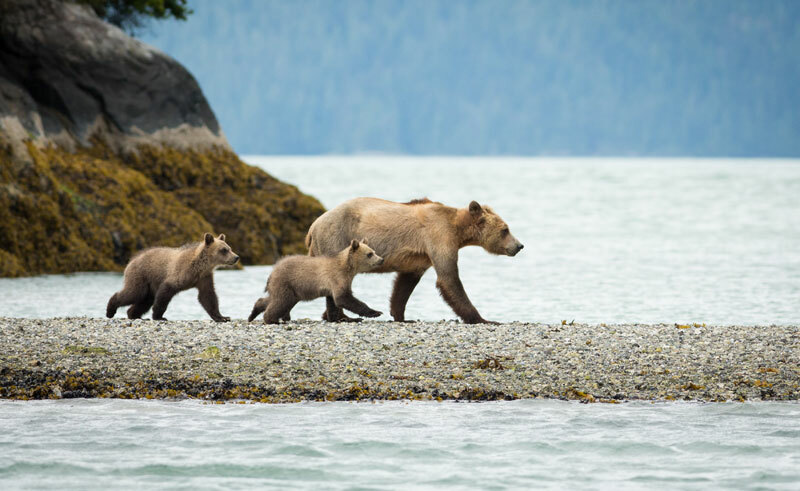 This pristine wilderness is renowned for its excellent grizzly bear viewing, and a memorable stay at Knight Inlet Lodge offers a chance to see these fascinating animals in their natural habitat. Grizzly bears come out of hibernation in spring and can be seen from the safety of a boat as they feed on the banks of Glendale Cove in Knight Inlet. Their diet here consists mainly of sedge grasses, mussels and barnacles that abound in the cove. 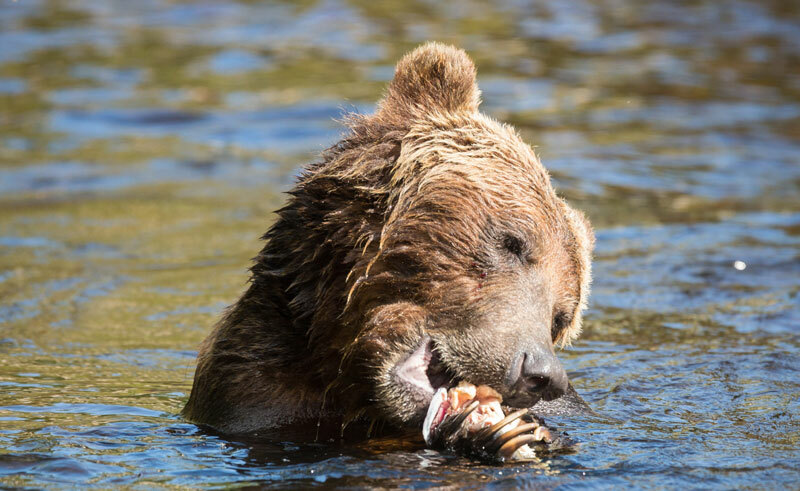 Later in the season, during the autumn, you can enjoy the incredible spectacle of the bears feeding on salmon as they return to the Glendale River for spawning. A specially constructed platform allows for the best possible viewing of this event, one of nature’s truly great wildlife sights. 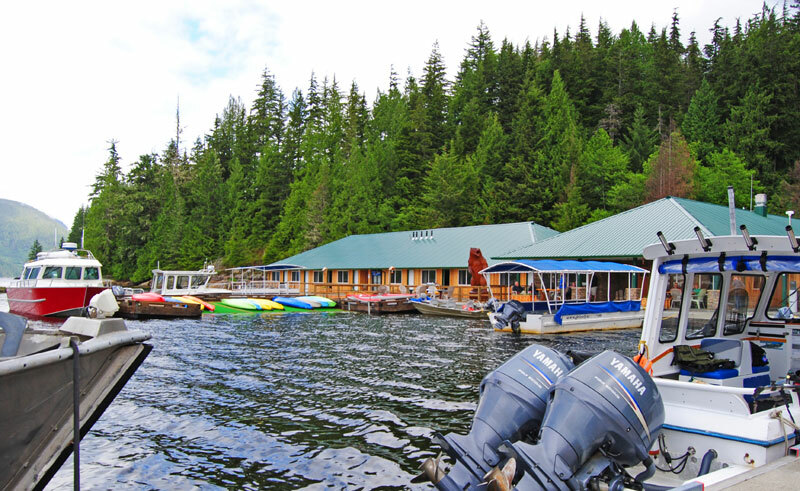 Knight Inlet Lodge is 18-room floating property anchored 60 kilometres from the mouth of the inlet in sheltered Glendale Cove. 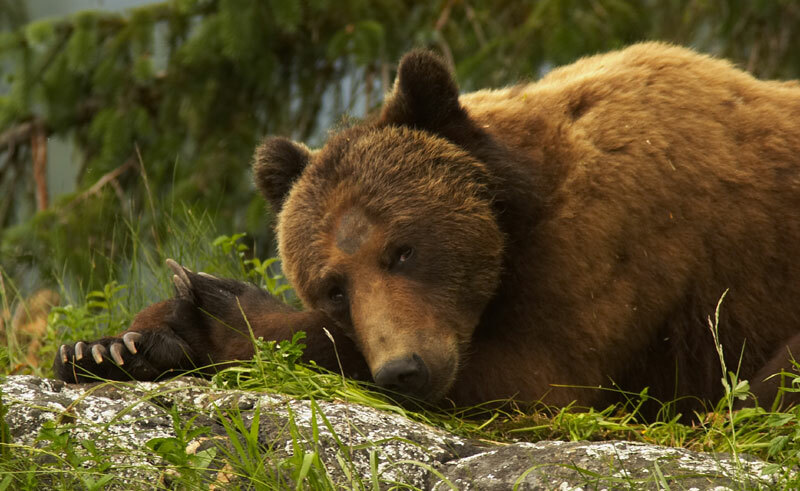 The Lodge will be your base for some memorable encounters with the grizzly bears. During your stay at Knight Inlet Lodge there may also be time available for kayaking, guided hiking, scenic boat trips and the chance to spot bald eagles and other bird life. Whilst a 1-night stay will be rewarding, we strongly recommend 2 or 3 nights at the lodge in order to immerse yourself into this great wilderness and maximise your wildlife-spotting opportunities. 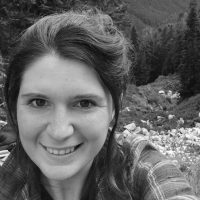 This package is available as 2, 3 or 4-night options including an overnight stay in Campbell River (Vancouver Island) on Day 1. We can also arrange air transfers from Vancouver. Contact us to find out how this can fit into your holidays plans. Make your way to Campbell River on Vancouver Island’s east coast for an overnight stay. The township of Campbell River lies on the shore of Discovery Passage and boasts views out past Quadra Island towards the rugged Coast Mountain range of mainland British Columbia. Overnight at Comfort Inn & Suites. Transfer to the Campbell River Float Plane dock for your scenic flight over to Knight Inlet Lodge. On arrival at the lodge you will be given a welcome orientation session providing details of the wildlife viewing that lies ahead. 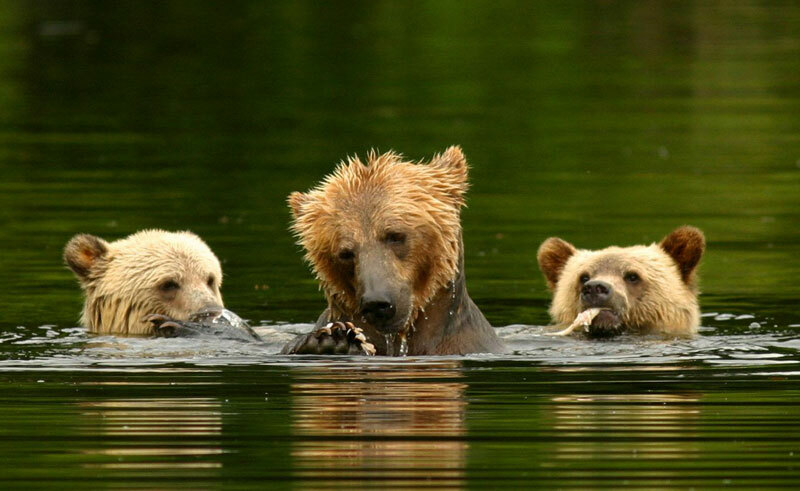 Later you will join an excursion to see the grizzly bears – this may be by boat or to specially designed viewing platforms, depending on the season and the location of the bears. There may also be time to explore the estuary by boat or kayak. Overnight at Knight Inlet Lodge. Return to Campbell River by floatplane. Knight Inlet is a spectacular fjord carved by glaciers in British Columbia's coastal mountains.